Get a pound puppy. and you’ll do more than save money. 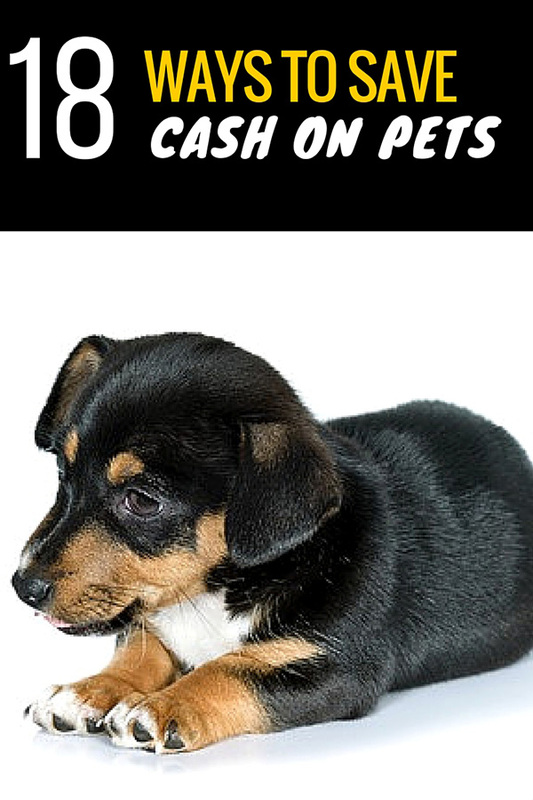 In addition to the low cost of purchasing a pet from a local shelter, you’ll be saving a life. Have your pet spayed or neutered. Reducing the pet population by discouraging accidental births can prevent the need for euthanizing unwanted pets. While this may not save money, it is a kind gesture. As an added bonus, shelters often discounted spaying and neutering certificates that can be used at local vets. We had our pets spayed for only $35. Buy the big ticket items on Craig’s List or an online Yard Sale. Or look at local yard sales or offer to buy these items from a neighbor. You can find discounted baby gates, dog crates and other helpful items and save a ton of cash. 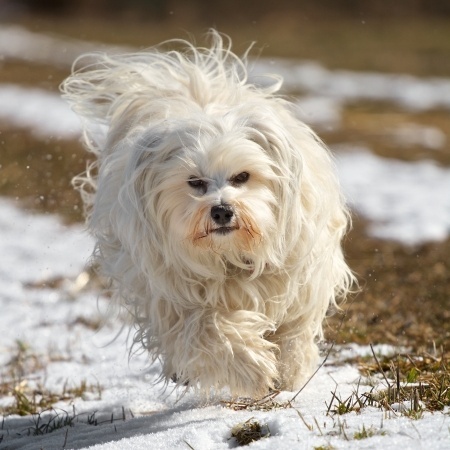 Being frugal also includes providing food that will keep your dog healthy in the long run. I avoid cheap dog food, as I don’t trust all the additives that may affect my dog’s future health. Instead, my vet recommended a middle of the road dog food. We buy Pedigree at Sam’s Club, or we buy it when it’s on sale and use coupons. Some pet owners love to make their own pet food. 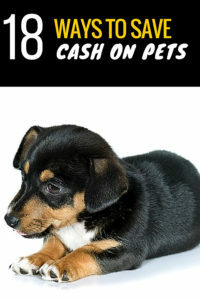 Whether it includes feeding them homemade cat food or sharing healthy table scraps, this is always an option. The internet also has a ton of healthy homemade dog treats. Although we like to feed our pets cut up carrots. It’s good for reducing their weight. Our pets love to sleep on old towels and blankets, especially old comforters. They have their dog beds, but they would rather snuggle in soft blanket. This is a good way to recycle your old bedding. As an added bonus, small blankets fit easily in the washing machine. Create fun, homemade toys for your pets. Of course, you want to avoid small parts that could be dangerous, but try stuffing an old sock with an empty water bottle. (Make sure you throw out the cap first.). Tie a knot in the sock, and you’re off to the races. Dogs love the crunching sound, as well as the human scent. Or cut some old t-shirts into strips and braid them together to make a toy rope. We’ve also given our dogs old stuffed animals — after we removed any dangerous parts that could be a choking hazard. We have a lot of stuffed animals with missing eyes and cut-off noses. If you’re in the need of pet clothes, stop by a local thrift store and buy some children’s t shirts. You can use them as is, or you can revamp them to look like dog clothes. I avoid chain pet store veterinarians. I’ve been to a few, and I haven’t been pleased with their service or their prices. Instead, I asked around the neighborhood and received recommendations from friends. I visited a few vets, watched them interact with my pets, decided whether I trusted their judgments, and compared prices. Being frugal does not always mean being cheap, so I decided to go with a vet who charged mid-range fees. However, she does try to save her clients money, and offers over the counter recommendations when applicable. She is also an excellent surgeon and I trust her. Speaking of pets, we have tried pet health insurance in the past. In some cases, it seemed to save us money, but I found that many of my claims were denied. After multiplying the monthly cost over a 6 month period, I compared it with my dog’s health insurance rate, and I decided it wasn’t worth it. After all, if they were going to randomly turn down treatment options for my pet, it really defeated the purpose. Others may have different experiences, but I will avoid pet insurance in the future. Remember to get your pets vaccinated and keep up with their heartworm medicine. A little cost up front can save you money, and it can save your pet’s life. With the dog flu going around, I have tried to keep my dogs away from their canine friends. Until this passes, I’d rather be safe than sorry. Learn to groom your own pet. In the past, we have paid about $40 to have our pets washed and groomed. When we added another puppy, we decided the cost was too high, so we learned to groom them ourselves. They might have looked a big bedraggled at first, but now we have the dog grooming process down pat. They look good, if I do say so myself. In addition to grooming your own pet, learn to cut their nails and brush their teeth. You’ll save on these services, and prevent future health problems by keeping their teeth clean. As an added bonus, you can save your legs from unwanted scratch marks! Many sites also recommend generic flea and tick treatment, but my dog had a bad reaction that involved a visit to the vet and additional medication. In the end, I paid way more for a cheap solution, when I should have gone with the name brand version. So I do stick with the name brand version when I can. I do compare prices, and I buy where I can find it the cheapest. Luckily for me, my vet offers great prices. With three dogs, yes I did say three, boarding is not a viable option. Besides, our puppy is terrified of other animals, so we have to slowly let her make new friends. Instead, our neighborhood has created our own dog babysitting circle. We take turns watching each other’s pets, loving them and taking them on walks while the other is away. Sure, we do spend a lot of time in each other’s homes, but that’s the fun in having close friends and neighbors. And, we have our own little dog play time, as well. If a circle of friends is not an option for you, consider hiring a local teen to walk and feed your dogs while you are away. The teen could use the extra money, and might be willing to watch a few episodes of Pretty Little Liars while spending time with your pets. You’ll have the comfort of knowing that your pets are loved while you are away. 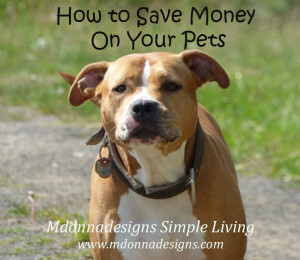 Being a frugal pet owner does involve some up-front costs, but planning can save you a lot of money in the long run. Look for ways to save money on the little things that don’t matter, like $50 pet beds, and use a cheap alternative instead. But sometimes the more cost effective option involves keeping up with routing health care to avoid a costly problem down the road.